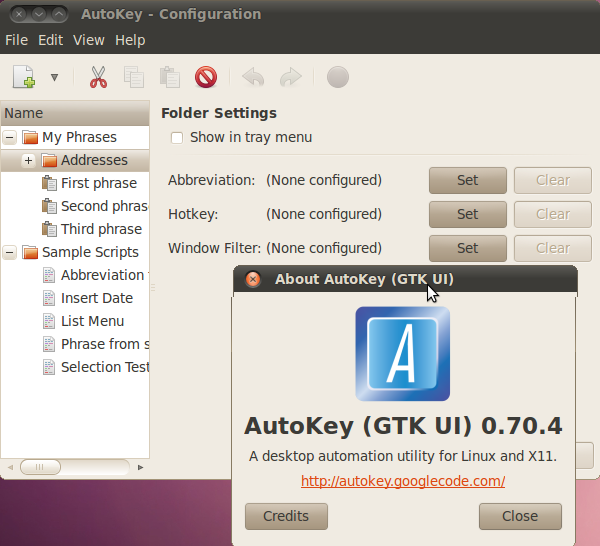 The core part of AutoKey is sending and receiving keyboard events via the X server. It supports multiple X interfaces and should therefore be compatible with virtually any version of Linux running an X server. Full unicode support is provided and it should in theory work with any keyboard layout. Oh very cool. This app is also available in the Debian repositories (just checked Debian Testing, likely also in Sid and maybe Stable) with both GTk+ and Qt frontends. This is certainly something that I need to look into, thanks for the heads up! Thanks! This instruction has helped me a lot.